Ceramic or clear braces are a subtle and discrete way to receive orthodontic treatment without feeling self-conscious about the way your brace may look to others. Clear, tooth-coloured brackets are fixed to the teeth so they blend in to the mouth. You have the choice of a traditional metal wire or a tooth-coloured wire. At Derwent Street Dental Practice, we have successfully treated hundreds of patients with ceramic braces for long-lasting and successful results. 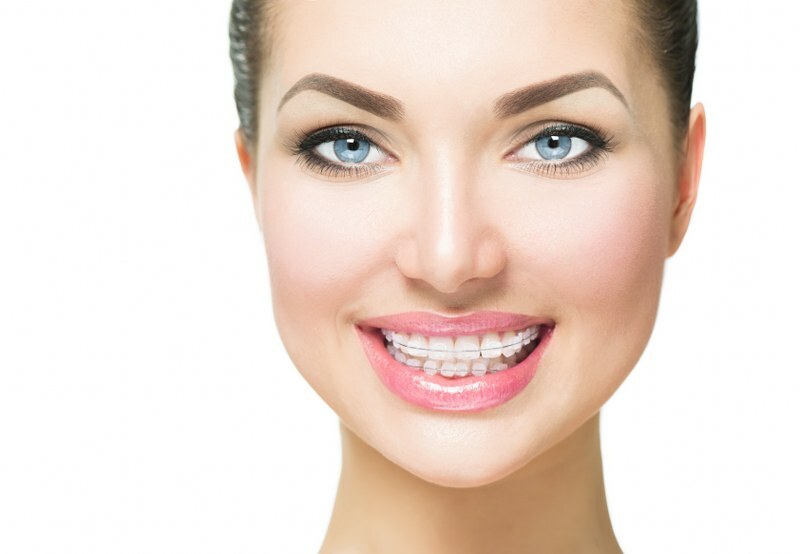 Often, adult patients prefer clear braces as these are less obvious than metallic braces. If you require orthodontic treatment, we will thoroughly examine your teeth and advise which straightening solution best suits your needs. Once the laboratory has built your brace, the brackets will be affixed to your teeth. You will need to visit us for regular appointments so that we can tighten the wire which is attached to each bracket and ensure your treatment is progressing. Treatment times vary from patient to patient and we will give you advice on how to manage your brace and look after your teeth throughout. Once the fixed brackets have been removed from your teeth we will provide you with a retainer to maintain the new position of your teeth. We offer a range of flexible finance options so you can spread the cost of treatment. Please click here or call 01773 820478 to book your orthodontic appointment now.